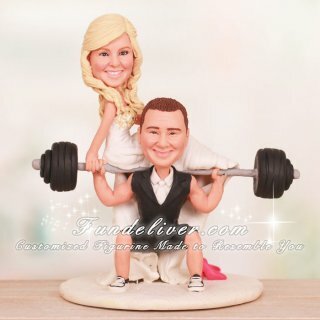 This is a completely customized squatting groom powerlifting bride on barbell wedding cake topper ordered by one of our customers. 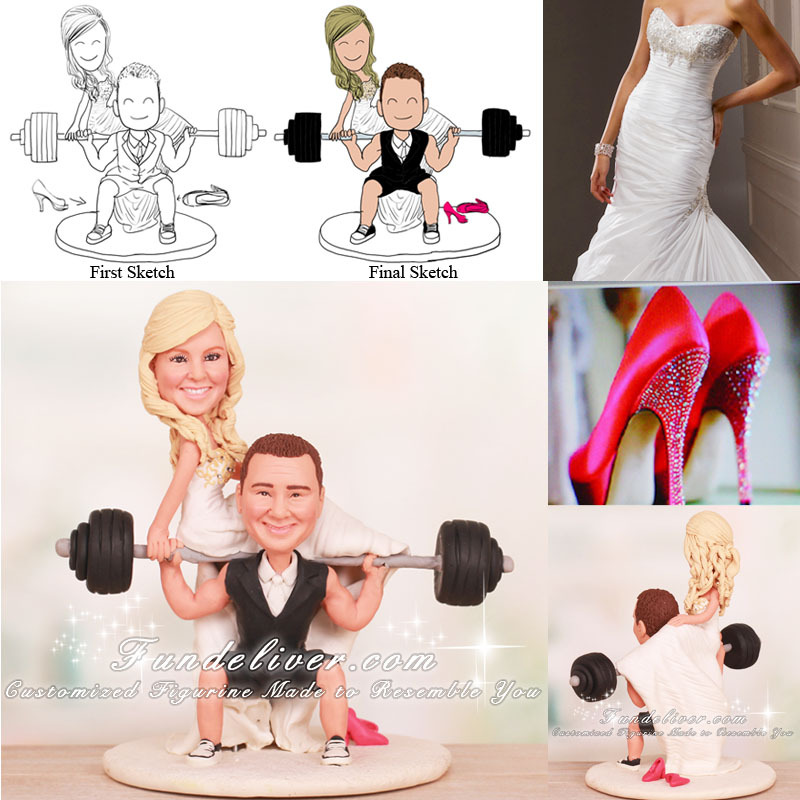 They would like the groom to be in a squatting position with the barbell on his shoulders and the bride in her wedding dress sitting on the barbell making it heavier for him to press up. The bride is bare foot. For her pink shoes, they would like to have them on the ground behind the groom in the corner with one standing up and one that has fallen over.